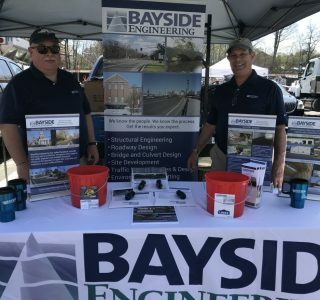 Bayside’s Mike, Brittany and Norman attended the Essex County Highway Association’s summer meeting and clambake in Manchester-by-the-Sea earlier this month. The beautiful weather and social atmosphere made for a wonderful afternoon and of course the day wouldn’t have been complete without Mike’s famous meatballs. Thanks for a great event. Bayside’s Mike Rizzo attended the Worcester County Highway Association’s business meeting at the Cyprian Keyes Golf Club on April 18. The group networked and enjoyed presentations on the MassDOT Complete Streets Funding Program and Safe Work Zone Practices. 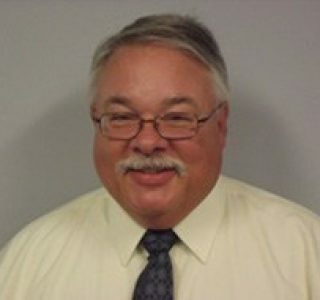 The Worcester County Highway Association includes as members, highway officials, highway engineers, other various municipal employees and contributing vendors. Spending the day at the Essex County Public Works Expo! Bayside would welcome the opportunity to assist you in the application and design process. The next deadline is June 30. Contact us today. MassDOT’s “Municipal Bridge Program” provides financial support to cities and towns for small bridge replacement, preservation and rehabilitation projects. Bayside Engineering would like to celebrate all the engineers making a difference in the world. As presented in ExxonMobil’s #BeAnEngineer campaign, things would be quite different without engineers. Check out the video: “Without engineers, your fitness tracker would be on your back and not your wrist.” Learn about the entire initiative at www.beanengineer.com. Bayside Engineering is a Woburn based engineering design firm. For half a century we have helped our clients reach their objectives effectively and cost efficiently. © 2019 Bayside Engineering, Inc.